WETA Ghost In the Shell Collectibles Are Here! 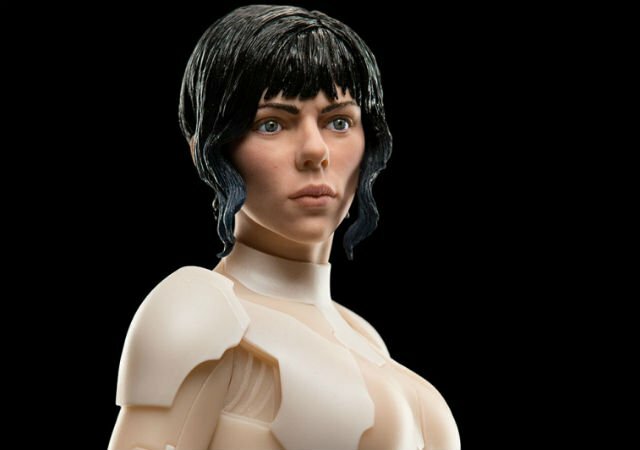 WETA Workshop has just released two new 1:4 scale collectible figures for the upcoming film Ghost In the Shell. One is of Major, played by Scarlett Johansson (The Avengers), and the other is the robot Geisha that we got a look at in the trailers. WETA Workshop posted the figures on their website today. Both are limited edition with only 500 figures available. The figures are rather pricey at $499, but the detail is incredible for both of them. They’re made from “high-quality polystone,” and have an illuminating base and fabric costume elements, which the website says is a first for WETA Workshop. The figures were designed and sculpted by Linsdey Crummett and Gary Hunt. Check out the WETA Ghost in the Shell images in the gallery viewer below. You can order Major here and the Geisha here. Ghost In the Shell will hit theaters on March 31, 2017. The film also stars Takeshi Kitano, Juliette Binoche, Pilou Asbæk, Kaori Momoi, Chin Han, Danusia Samal, Yutaka Izumihara, Tuwanda Manyimo and Rila Fukushima. Are you guys excited to see what’s coming? Let us know in the comments or tweet us @comingsoonnet.